The United Nations Development Program (UNDP) has announced the collection of bids to procure medicines for several programs using the 2017 budget funds. On August 16, 2017, the UNDP announced collection of bids to procure medicines to treat infertility of women (eight lots) and treat patients with multiocular sclerosis (six lots). In addition, the UNDP also announced procurement of medicines to treat juvenile rheumatoid arthritis, dwarfism, cerebral palsy, mucoviscidosis and procure Anti-D Immunoglobulin to prevent ABO hemolytic disease of the newborn (nine lots). 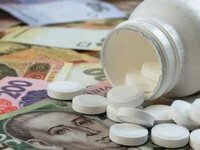 According to the agreement signed by the Health Ministry of Ukraine and the UNDP, the organization will procure medicines and medical products under 15 programs for UAH 2.3 billion using the 2017 national budget funds.